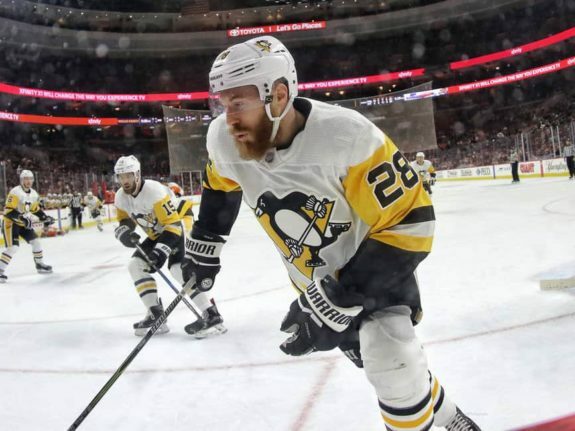 The Ottawa Senators have traded defender Ian Cole to the Columbus Blue Jackets in exchange for forward Nick Moutrey and a third-round pick in the 2020 NHL Entry Draft, the Senators announced Monday. Cole was recently traded to the Senators in the deal that saw Derick Brassard shipped to the Pittsburgh Penguins. Cole never played a game in a Senators uniform. It’s been an interesting season for Cole. 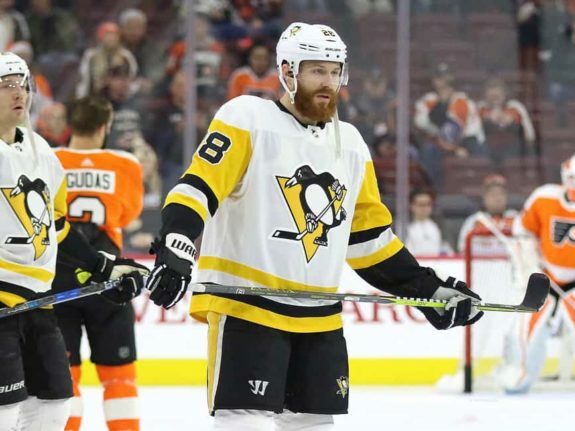 Once firmly entrenched on the Penguins trading block, discussions about a possible trade for Cole died down as the season progressed. While that didn’t necessarily mean that Cole wasn’t on the block anymore, a deal went from seeming imminent to seeming like a mere possibility. While Cole may not be a defender in the mold the modern-day blueliner, he still added an important presence to the Penguins defense when he was with them. Unlike the typical mobile, puck-moving blueliner that NHL teams desire, Cole brought a level of physicality that isn’t easy to replace. For the Blue Jackets, adding a presence like Cole will be helpful as they look to take the next step in their development. While the Blue Jackets have been one of the NHL’s best teams over the last two seasons, their playoff endeavors haven’t fair quite as well as their regular season ones. Cole’s ability to play bottom-pairing minutes, contribute on the penalty kill, block shots and add physicality to the Columbus lineup could prove to be invaluable for them as they look to break out of a very competitive Metropolitan Division. For Penguins fans, this deal may lead to some heartache. It isn’t easy for a fanbase when a player suits up for a rival team, but that’s exactly what will happen when Cole officially joins Columbus for his first game in a Blue Jackets uniform. With three goals and 13 points in 47 games, it’s clear that Cole’s contributions won’t be coming on the offensive side of the puck. His career 18 goals and 90 points in 385 games tell an even bigger picture. What Cole will bring, however, is a defensive presence and a plethora of postseason experience due to his 54 playoff games over the last three seasons – 49 of which coming in the last two. The Blue Jackets young and exciting squad may be fun to watch, but the team is looking for much more than to simply be entertaining. Adding a player like Cole who has postseason experience can only help as they look for a long playoff run. For the Senators, a third-round pick in 2020 and a prospect in Moutrey is just gravy following their Brassard trade. At 22 years old, Moutrey has failed to make a huge impact in terms of point production for the Blue Jackets at the AHL level. Still yet to make his debut in an NHL game, it’ll be interesting to see if the fourth-round pick from 2013 can break through with the Senators.